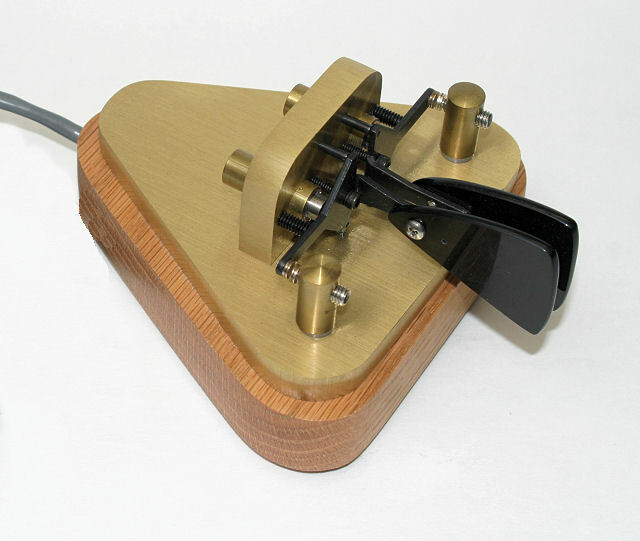 Parts and service are available for current VIBROPLEX and BENCHER products. Parts: Repair parts for all current production model keys built 1945 to the present day are available. The most important step is this one! To order Vibroplex parts, consult the machine drawings and parts lists links shown below for each model to determine what parts you need before contacting us. The 4 digit part numbers on the parts list are the ones we use. Do not use the model part numbers like VK-1 or O-20. Once you've got your part numbers, there are 3 ways to order. 1) Phone: Call us at (865) 309-5073 with Visa, MasterCard, or Discover. We are open 8:30 a.m.- 5:30 p.m. U.S. Eastern time Monday-Friday. 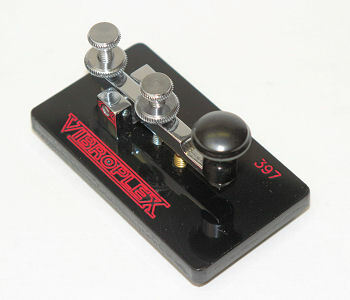 2) By email: Send an email to vibroplex@vibroplex.com with the part quantities, part numbers, description. We will then total your order and email you a PayPal payment request, which you can pay with either PayPal funds or a major credit card. 3) By regular U.S. mail. Print out the parts list, write what items you need on it and mail it with a check, money order, or credit card information to us directly. Our address is Vibroplex, 1001 N. Broadway St., Knoxville, TN 37917. Postage cost for small parts orders: USA addresses typical first class mail shipping cost is $3.65. Due to US Postal Service regulation changes in January 2018 we can no longer ship parts international first class mail at the cheaper flat envelope rate. Typical small parts shipping cost to Canada is $9.50. All other countries, $13.30. 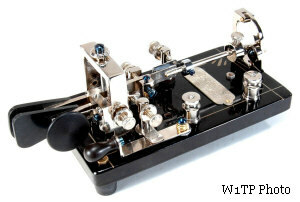 Service: Service is available on current models of Vibroplex keys built 1945 to the present day and most Bencher items. We charge a $45 standard flat fee for service work on usual repairs. A usual repair would be a key that perhaps needs a few replacement parts, needs disassembly and cleaning, adjusting etc. Standard service is disassemble the key to the base, clean the base, clean all the parts, replace anything heavily corroded, re-assemble, test and adjust so the key is ready to use. Keys that will need extra labor work above the $45 standard fee are ones that are heavily rusted out/damaged, multiple broken parts, mostly or completely disassembled or have some other major issues. You may email or phone prior to sending items for repair to assure we have parts available and can do service work on your key, but this is not required. 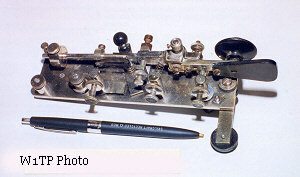 Do not mail a check for $45 with your key - there are return shipping costs and parts may need replacing. We will contact you for payment after service is complete. Click here for a pictorial document describing jeweled vs. non-jeweled movements. HOW OLD IS MY KEY? 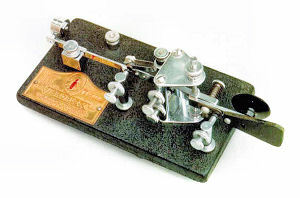 We have a serial number chart available by clicking this link to determine age of your VIBROPLEX key. Please note that no model information corresponds to serial numbers - the serial number only indicates date of manufacture. 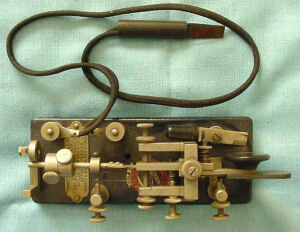 AUTOPLEX (electromagnetic predecessor) 1902-1905. K9WDY collection. 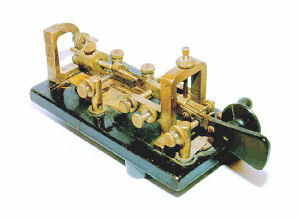 DOUBLE LEVER - independent dit and dah key levers. 1906-1927. 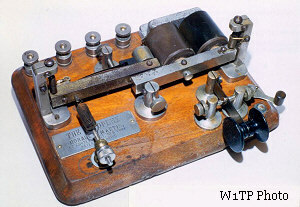 Restored by W4PAL. MODEL X. 1911-1927. 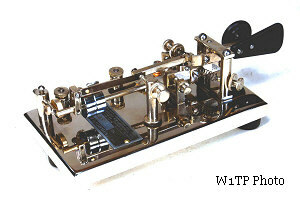 Restored by W4PAL. "No. 4" BLUE RACER. 1914-1966. MARTIN JUNIOR (reduced size version of ORIGINAL BUG). 1921-1939. CHAMPION - cheaper version of LIGHTNING BUG. 1939-1979. ZEPHYR - narrow base version of CHAMPION. 1939-1958. 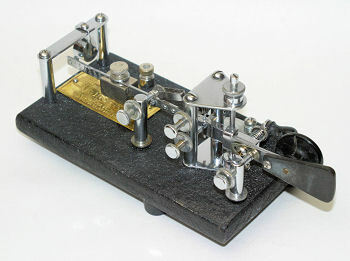 BRASS RACER IAMBIC. 1982-1996 with EK-1 keyer in base. 1996-2013 without keyer. 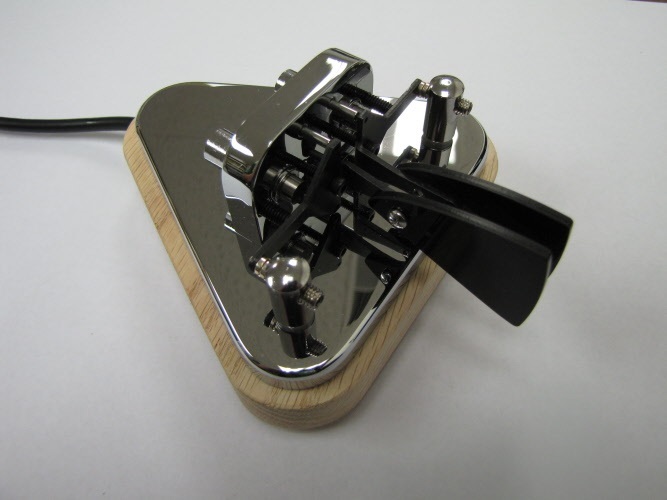 CHROME CLASSIC TRIANGLE. 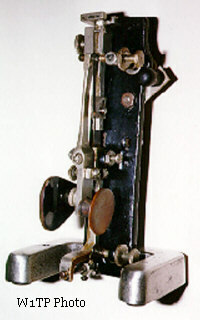 Chrome version of original Brass Racer Iambic. 2013-2017. 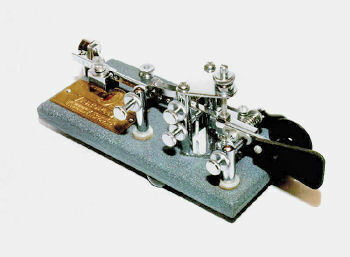 CODE MITE miniature straight key. 1997-2010.